Independence Law Center helps high school students advertise their club and maintain their right to express student religious speech. The Bible Club at a school district in central Pennsylvania has been an active part of the school district for years. They meet together for Bible study during regular club times, they invite guest speakers, and they perform service projects for the community and fellow classmates. Just like other student groups, they wish to advertise for events and promote messages in areas the school has opened up for student messages to be communicated to other students. At the start of the 2018 school year, the students submitted a flyer advertising their Bible Club meetings to the High School Principal for approval. The principal told the students involved that having a Bible verse on a Bible club poster would establish a religion. The principal then told them to remove the Bible verse, and then they could post their sign. Unfortunately, many schools or personnel within the schools believe that to avoid establishing religion, they must treat student religious expression as if it were peanut butter in a classroom full of students with severe peanut allergies. This severely mistaken mindset causes schools like this one to violate students’ First Amendment rights and engage in religious and viewpoint discrimination against religious students at the school. Displaying a Bible verse on a flyer of a student club is absolutely within the constitutional rights of students in public schools. 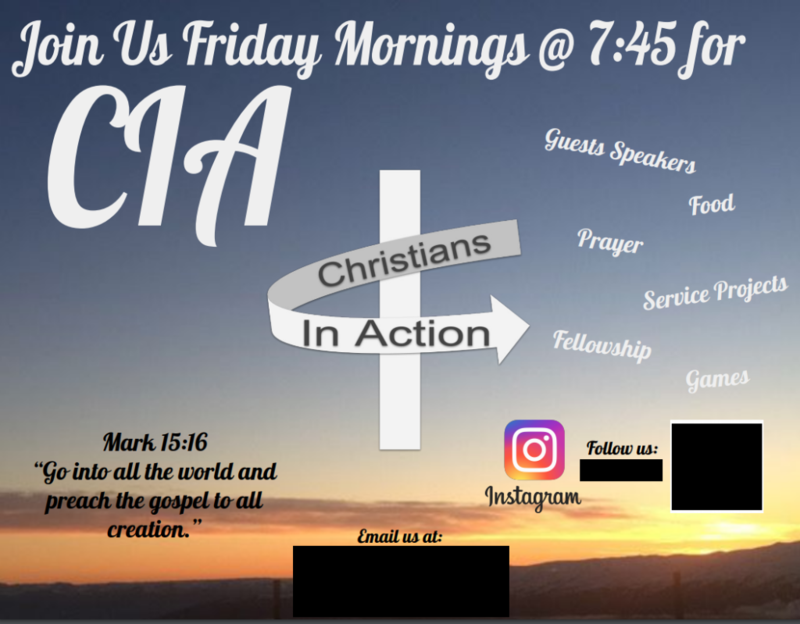 A student club’s flyer at a public school may contain Bible verses or religious words like “pray,” “God,” and “Jesus.” Additionally, public schools must treat student’s religious speech on an equal basis with student’s secular speech. After being denied, the Bible club students reached out to the Independence Law Center about the principal’s actions. School officials refused to budge until our attorneys got involved. 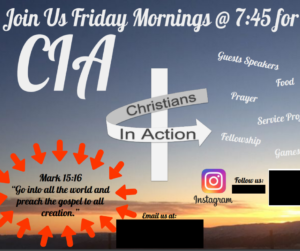 Eventually, the school agreed to cease applying its policy in a viewpoint discriminatory manner and approved the Bible club’s flyer. Parents and students should know their rights when it comes to their faith in public schools. Many students would have simply done what the principal told them to do without knowing their rights or how to defend them. Fortunately, these students knew their rights, and respectfully attempted to communicate them to their principal. But when the principal refused to relent, the Independence Law Center was there to ensure those rights were protected. The Independence Law Center was able to provide these students and their parents legal services free of charge because of the support we receive from families across Pennsylvania. This is one example of how you help people by partnering with the Pennsylvania Family Institute. Right now, we have an opportunity to head into 2019 even stronger with a generous partner presenting us with a $50,000 challenge gift. We’re getting close to meeting this challenge and I hope you will consider giving generously to our work. To donate, go to pafamily.org/challenge.